October 2018: Hongyin won first prize in the poster competition at the 2018 Texas Medical Center Annual Postdoctoral Science Symposium! Congrats Hongyin! September 2018: Barbara received the MAC travel award for the 2018 annual ASCB/EMBO Meeting! Congratulations Barbara! September 2018: The Levental Lab is officially on Twitter. Follow us @LeventalLab! September 2018: Jessica was honored at the Graduate School of Biomedical Sciences PhD student annual White Coat Ceremony. Congrats Jessica! May 2018: Jessica Symons joined our lab as a PhD, co-advised with Sunil Krishnan at MD Anderson. Welcome Jessica! February 2018: Dr. Ivan Castello-Serrano and Rossana Ippolito joined our lab! Welcome Ivan and Ross! November 2017: Kandice's paper was published in Science Advances. The story was featured in both the UTHealth and Rice News and on Technology Networks! October 2017: Joseph's paper was published in Nature Communications! 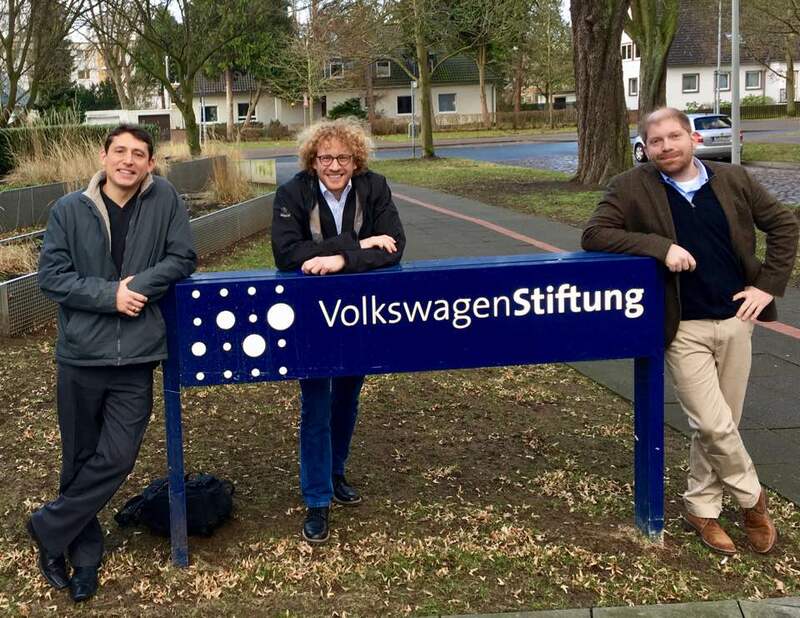 March 2017: Our collaborative project with Robert Ernst, James Saenz, and Maya Schuldiner on "Design principles of living membranes" was awarded funding by the VW Stiftung for five years! July 2017: Eric Malmberg successfully defended his Masters thesis!! Way to go, Eric!! March 2017: Dr. Hongyin Wang joins our lab all the way from China. Welcome Hongyin! January 2017: Lakshmi's paper was published in Scientific Reports. September 2016: Xubo's paper was published in FEBS Letters. January 2016: Kandice and Joseph's paper was published in Biophysical Journal. December 2015: Barbara won Honorable Mention at the annual ASCB MAC poster competition! Congrats Barbara! July 2015: Karolina was awarded the Runner Up Postdoc Poster Prize at the FASEB Summer Research Conference on Protein Lipidation and Membrane Domains! Congrats Karolina! July 2015: We are excited to welcome Eric Malmberg to the lab as a Masters student! June 2015: Barbara Diaz-Rohrer was selected to attend the highly selective and prestigious MBL Physiology Course in Woods Hole, MA! December 2014: Barbara was selected to give a platform presentation at the annual American Society of Cell Biology meeting in Philadelphia! She gave a great talk to a crowd of ~100 attendees. August 2014: Dr. Karolina Tulodziecka joins our lab all the way from Poland. Welcome Karolina! June 2014: Dr Joseph Lorent joins the lab all the way from Belgium. Welcome Joseph! May 2014: The Levental Lab is published again, this time in Proceeding of the National Academy of Sciences!! Congrats to Barbara and Kandice - WAY TO GO!!! 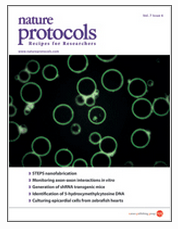 *** A figure from this paper has been chosen for the cover image of PNAS!! Our cover was inadvertently featured on the Colbert Report! October 2013: The Levental Lab has been published!! 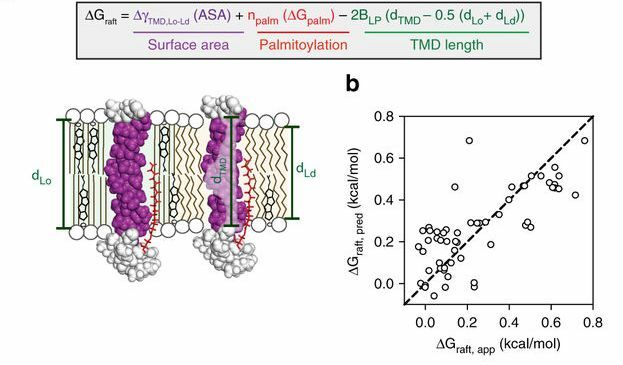 "Bile acids modulate signaling by functional perturbation of plasma membrane domains" in the Journal of Biological Chemistry. Congrats to us! *** A figure from this paper has been chosen for the COVER IMAGE of JBC!! June 2013: We are excited to welcome Lakshmi Ganesan to the lab as a postdoctoral fellow. October 2012: Barbara Diaz joins the lab! Welcome Barbara! August 2012: Shawn Brisbay joins the lab! Welcome Shawn!